The Sanctuary of Our Lady of Fátima is a Roman Catholic Marian basilica in Fátima, Portugal. Its construction began in 1928 and it was consecrated in October 1953. 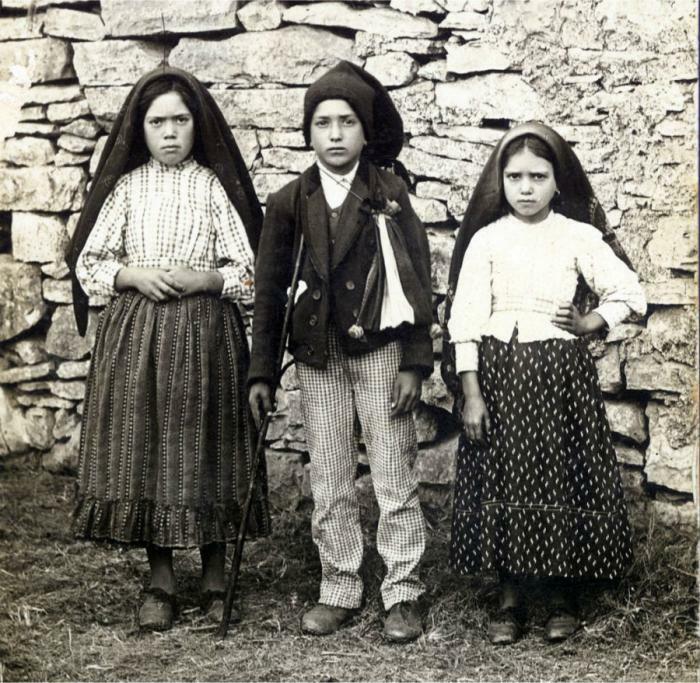 The Sanctuary of Our Lady of Fatima is built on the spot where three Portuguese children reportedly saw a vision of the Virgin Mary. LOS ANGELES, CA (Catholic Online) - The basilica is built at the site of the Marian apparitions reported by three Portuguese children in 1917 and known as Our Lady of Fátima. The tombs of Blessed Francisco Marto, Blessed Jacinta Marto and Sister Lúcia dos Santos, the three children, are in the Basilica of Our Lady of the Rosary. Scenes of the Marian apparitions are shown in stained glass. Join the fight to end world hunger. The fifteen church altars are dedicated to the 15 mysteries of the Rosary. The large church organ was installed in 1952 and has about 12 thousand pipes. Four statues of the four great apostles of the Rosary and to the devotion to the Immaculate Heart of Mary are at the four corners of the Basilica: Saint Anthony Mary Claret, Saint Dominic, Saint John Eudes and Saint Stephen, King of Hungary. The visionaries who reportedly saw the vision of the Virgin Mary. The shrine attracts a large number of Roman Catholics, and every year on the dates of the Fatima apparitions, May 13th and October 13th, pilgrims fill the country road that leads to the shrine. Overall, about four million pilgrims visit the basilica every year. The treasury of the sanctuary holds the Irish Monstrance considered to be one of the most significant works of religious art from Ireland. The monstrance was gifted to the basilica in 1949. The entrance to the Fátima Sanctuary, to the south of the rectory, is a segment of the Berlin Wall intended to emphasize the belief that the Rosary prayers influenced the fall of the Berlin Wall related to the Consecration of Russia based on the Our Lady of Fátima messages. 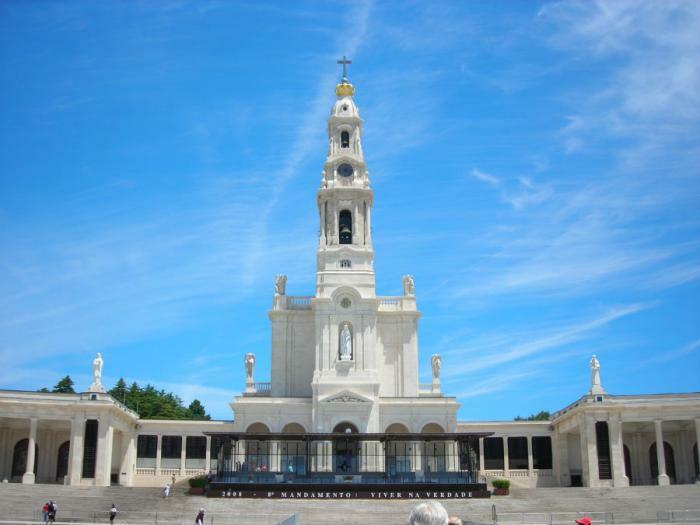 The Sanctuary of Our Lady of Fatima is built on the spot where three children saw a vision of the Virgin Mary. The large statue of Our Lady of Fatima, which stands in the niche above the main entrance of the basilica, was sculpted by American priest Thomas McGlynn. McGlynn spent considerable time with visionary Lucia Santos as she described for him in detail how Mary looked during her appearances to the children. The statue was presented as a gift from the Catholic people of the United States to the Sanctuary of Fatima in 1958.